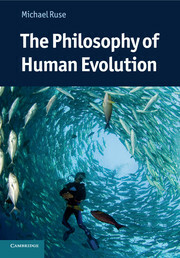 Michael Ruse is the author of The Philosophy of Human Evolution (2012), Science and Spirituality: Making Room for Faith in the Age of Science (2010), Darwinism and its Discontents (2008), and Can a Darwinian be a Christian? :The Relationship between Science and Religion (2004). Ruse is the Lucyle T. Werkmeister Professor of Philosophy and the Director of the Program in the History and Philosophy of Science at Florida State University. Michael Ruse: New Atheism "A Bloody Disaster"